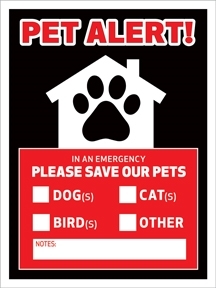 Let emergency workers know how many pets you have inside your home. I'm happy with the quality of this product. Our old window clings were peeling off the windows. These fit the bill! Responders would notice this. Glad there's space to indicate the number and kind of pets as well as my phone.